Please join the Irish network of Philadelphia for a fun evening to support Kevin! 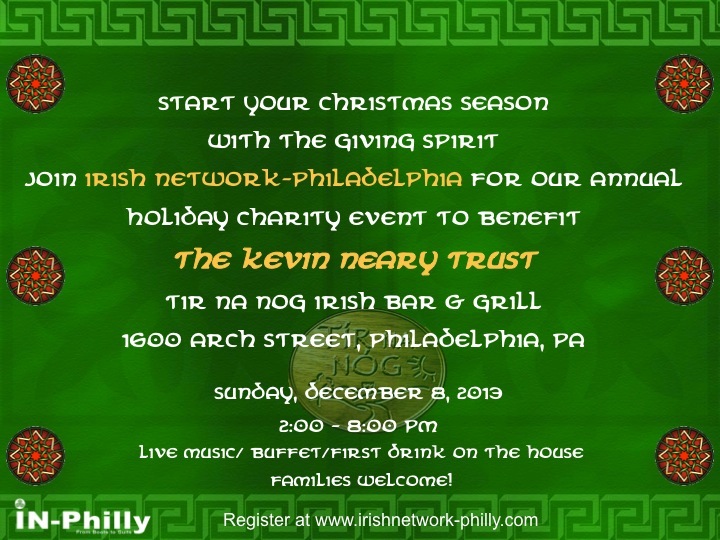 On Sunday, December 8th from 2 – 8 pm the Irish network of Philadelphia and the Tir Na Nog Irish bar and Grill will be hosting a benefit for Kevin. They will have live music, a buffet and the first drink is on the house! You can register at http://www.irishnetwork-philly.com today. Two years ago tonight, Kevin’s life and all of our lives were changed forever. In those short two years, Kevin has made tremendous progress and continues to move forward, thanks in large part to the community’s response around him. We can never thank all of you enough for all you have done to help Kevin and our family. 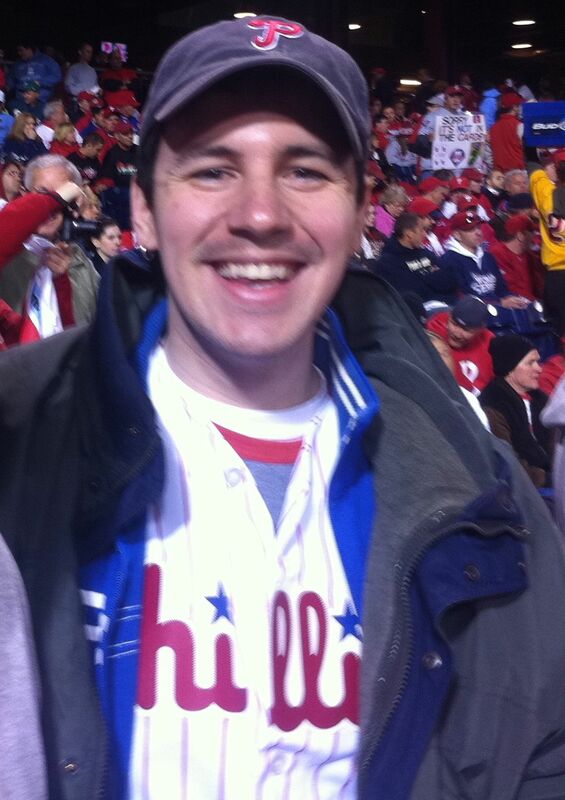 Today marks two years since Kevin was assaulted and left to die on a Philadelphia street. Due to the quick response of the police, EMTs, Kevin’s life was saved. We owe those men and women a huge thanks for their dedication to their jobs and more importantly their concern and support during those first few days and during the trial. I think all of the EMTs, officers and detectives were at the sentencing hearing and their support was invaluable. The officers were Kenneth Taylor, Stanley Sanford, and Quentin White and the EMTs were Angela Cummings and Kenneth Gorgol. This is a very late thank you but it is a very sincere one. The detectives on the case, first Neal Goldstein, and then Mike Rocks and Bob Kerwin were unbelievable. We worked most closely with Mike and Bob and their resolve to apprehend the assailant was unshakeable. I think Kevin’s spirit had a lot to do with their resolve but their professionalism from start to finish was apparent and their dedication to their job was tremendous. They too have been there from the start to finish and they are a credit to the department they serve. Police Commissioner Ramsey should be proud of the officers and detectives who handled this case as they were professional throughout. The district attorney’s office was on top of this case from the beginning and the two assistant district attorneys who were assigned to the case were a blend of passionate professionalism and empathy for Kevin, both as a case and more importantly as a person. Erin Boyle and Allison Worysz were supportive throughout, constantly providing updates and totally dedicated to seeing this case to thea just outcome. Their support was invaluable and we will always be grateful for their friendship during this difficult process. District Attorney Williams should be very proud of these two fine young prosecutors. Finally we need to thank everyone who has supported Kevin and our family since November 15th, 2011. We could not have done all we have been able to do without all of your support. The ability to keep Kevin at home is due to the generosity of all who have contributed in any way to his care. The items we have been able to purchase to make Kevin’s life safer and healthier are a direct result of the incredible generosity of so many that naming any one person or group would only slight others. Suffice it to say that we are eternally grateful for your support. Thank you for keeping all of us in your thoughts and prayers.